There is a very famous quote which probably every shoe maniac has heard off – “Give a girl the right pair of heels and she can conquer the world!”. More than clothes its always a spanking pair of shoes that catch my eye and I’m drawn to them. I could pass on getting that accessory or top or makeup but I can never resist shoes. I have quite a collection going on for me…hey since I stand on my two feet (a fav comment of my father’s during my tormented teen years) I need fabulous pair of shoes (or 30) to do that with! Am I right? Or am I right! The change of seasons ushers in the change of preference for the type of shoes ones turns too. Since the summers are here it is time to dust out the slippers, sandals and even ballerinas. 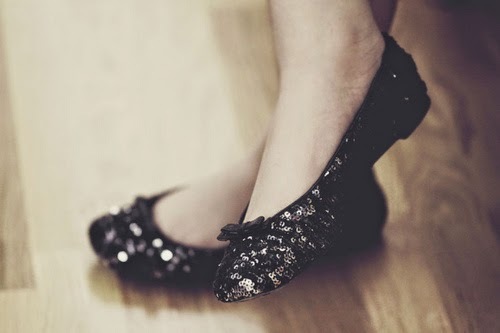 For me, even though I do love my slippers, ballerinas have become a staple irrespective of the season. I’m not someone who can walk delicately or for a long duration in heels. I prefer to don flats as much as I can and only wear them heels for a special occasion. Some women can literally sprint in heels and I seriously salute them for it. For a gravity challenged person like me my feet need to be firmly planted to the ground thank you very much. Ballerinas or ballet shoes are dancer shoes originally but given their design and comfort they have become part of our daily life. Though the original haven’t changed much throughout the years but the ones that available to the masses have a lot of variety. From their structure to the colors/fabrics/patterns there is something for everyone. 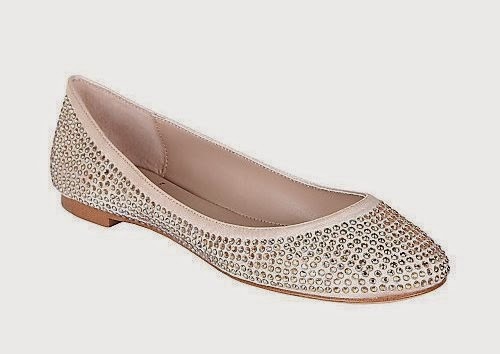 You can even opt for one with straps or peep toes if you are looking to divert from the regular style. Daring divas can opt for blinged out, spiked or even furry pairs. Personally I really like the patent ones as they are easy to clean and maintain especially if I use them as daily wear. They keep the dust off during summers and the rain/mud at bay during the rainy season.